Here are a few photos of my final builds for the year (not strictly true but I cant show you the very last one yet!) 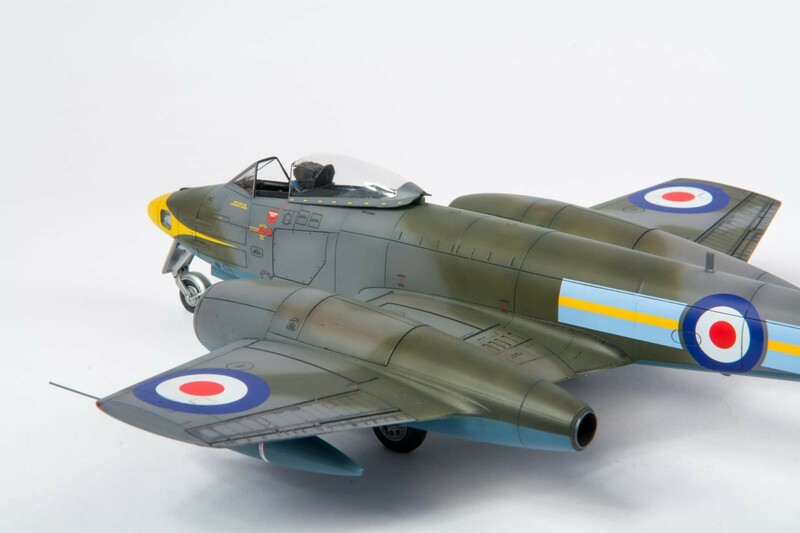 which are the Airfix 1:48 Sea Fury and the Airfix 1:48 Gloster Meteor FR.9. 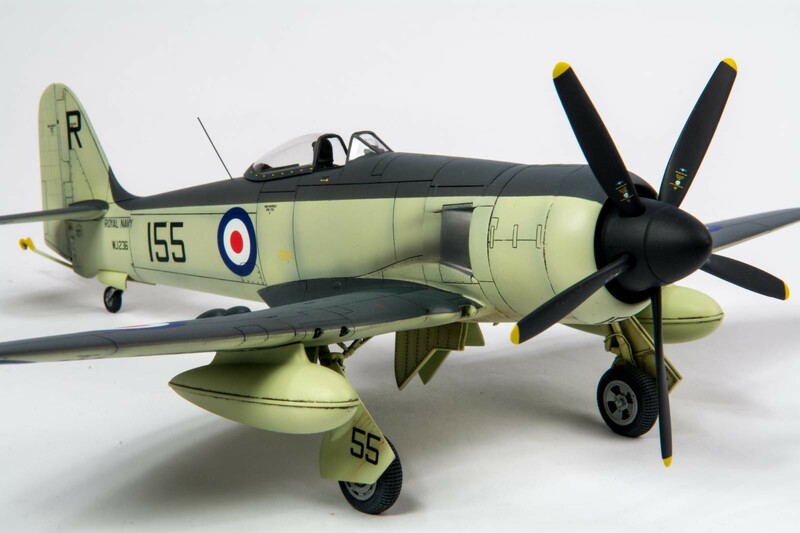 The Sea Fury has the Barracuda wheels and cockpit plus I’ve added all the missing aerials and replaced the raised rivets with engraved ones. 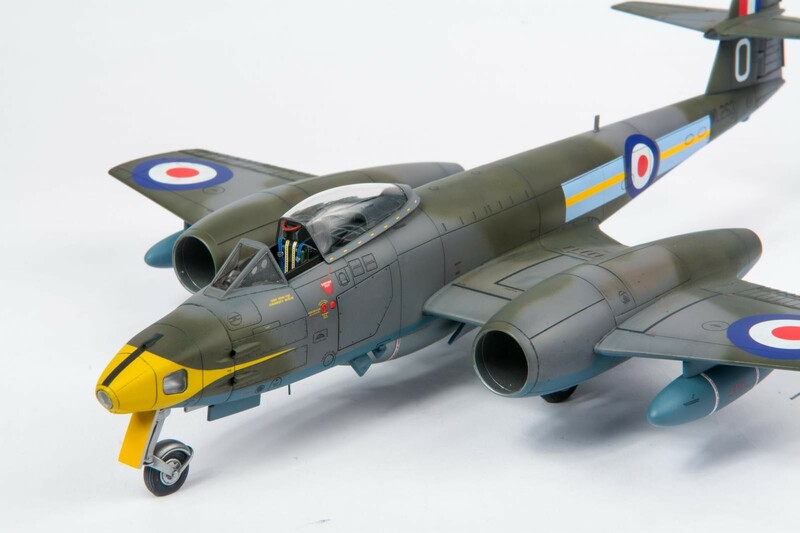 This will be appearing in Model Airplane International in the new year. 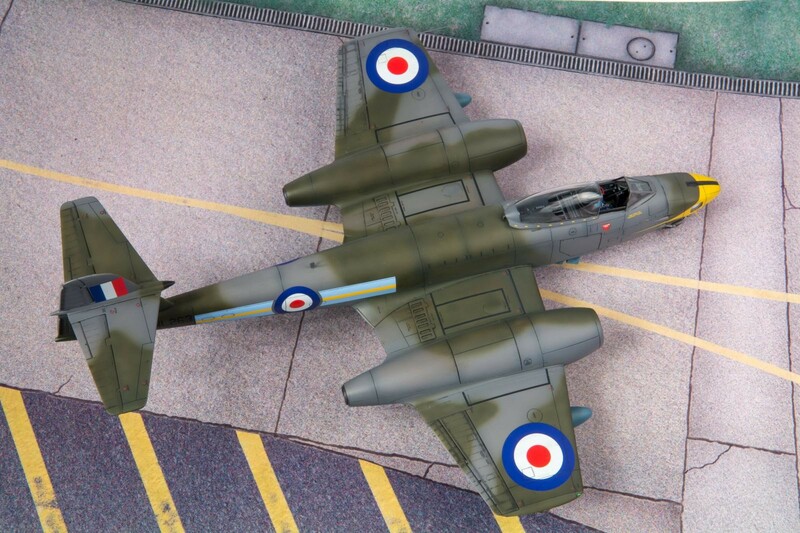 The Meteor has just been featured in Airfix Model World and I’ve used the Eduard photo etch for the cockpit and Eduard Brassin wheels on this one. Hope you enjoy the photos! 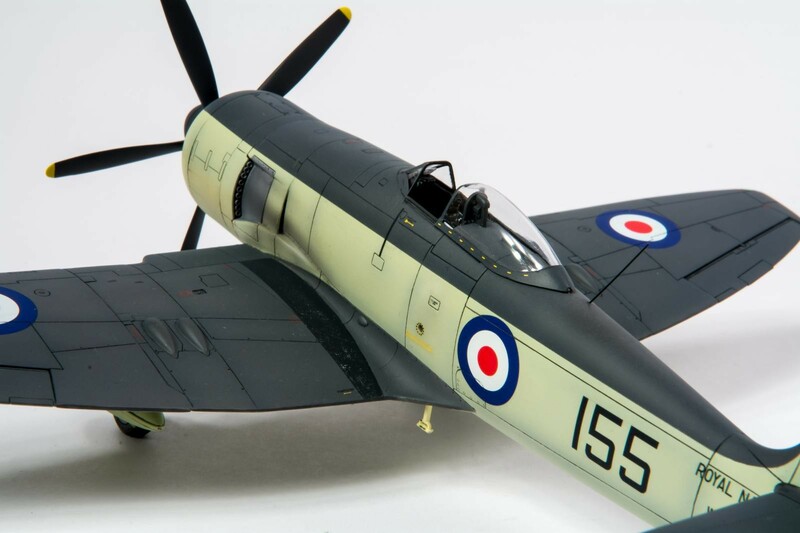 Fantastic couple of builds Alan, what paints did you use for the Seafury ? Thanks Neil, Gunze Sangyo as always! They are absolutely gorgeous, Alan! I’ll look for them in the magazines. 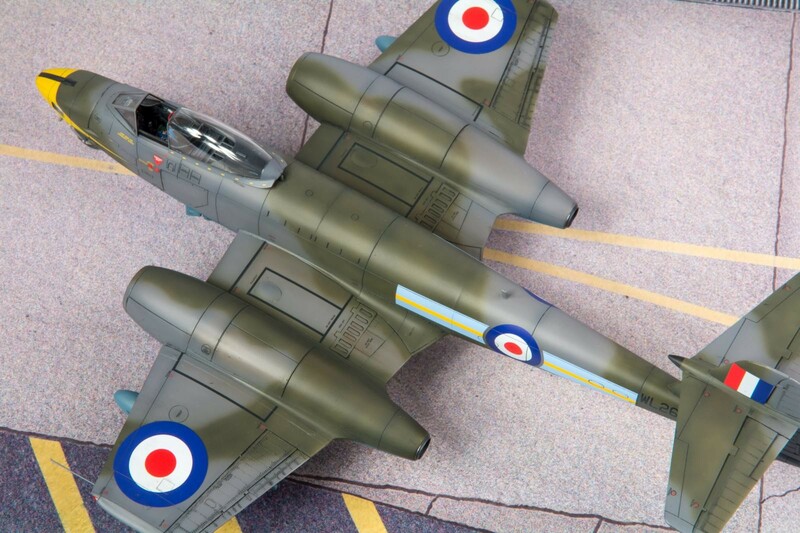 Fantastic work Allen, your pics really show off your nice work on these kits. Any fit issues with either one? 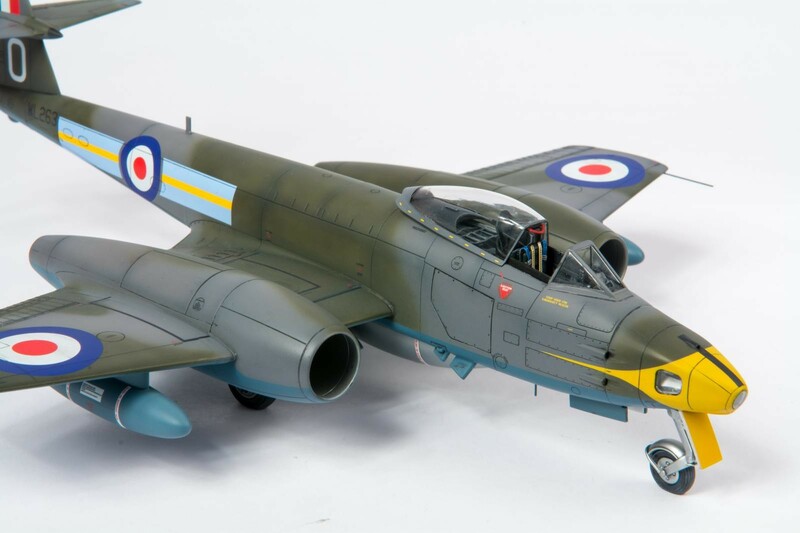 Thanks Tom, the Meteor has some minor issues but as you can appreciate, with this being a magazine build, I’m afraid I cant post much so you’ll need to read the magazine for the details. Beautiful models! Very well done! Excellent work, Alan. The paintwork and weathering are exceptionally good. Muy buenas las fotos del Meteor en las pistas,muy real. ¡Feliz año! 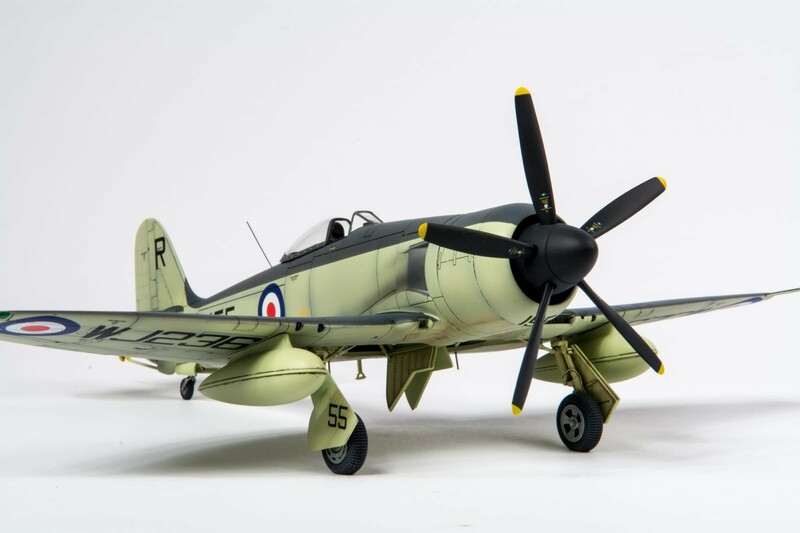 Stunning builds, the Sea Fury looks gorgeous ! Your models are beautiful Allan and your production rate is amaizing ! That sea fury is beauty . Nothing short of professional. The photos seem to glow with color and our inspirational.